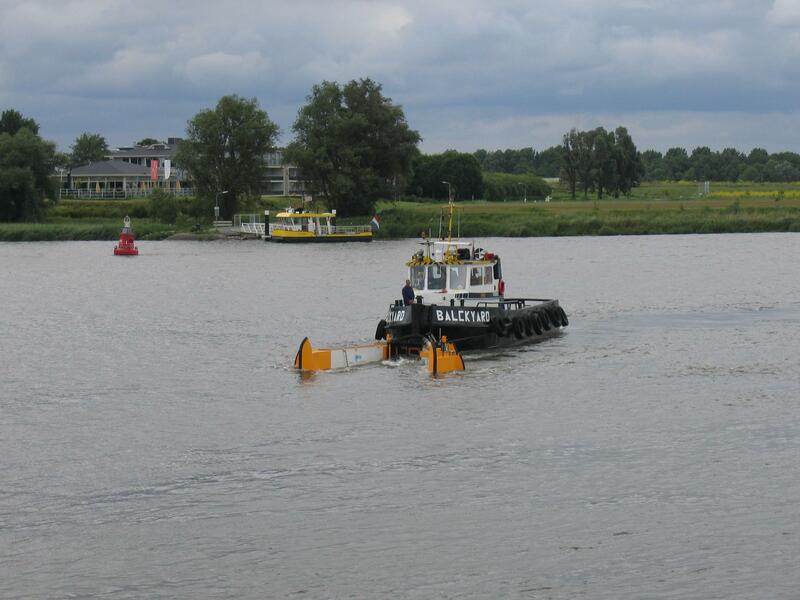 For harbours, inland waters and offshore (when pulled alongside ship). Possible to push with a smal vessel. 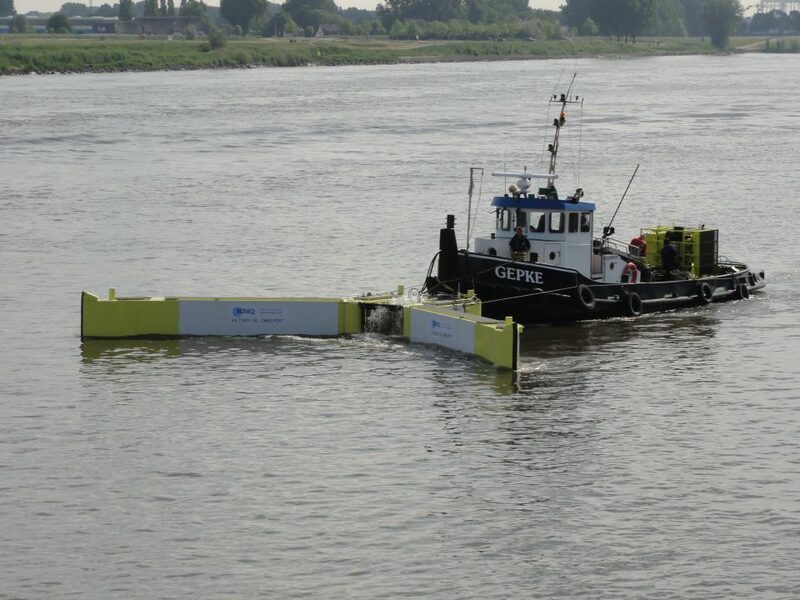 High capacity sweeping possible with weir/brush skimmer. Sweeping width and angle are adjustable. Fast sailing speeds possible with arms closed. Victory Oil Sweeper Brochure Download. The Victory Oil Sweeper is unique because of it is capability to not only be pulled alongside the vessel but also pushed in front of the ship. The system floats independently and because of this it is not necessary to carry the unit on the deck of a vessel. Smaller vessels of opportunity can deploy the sweeping arm as well. 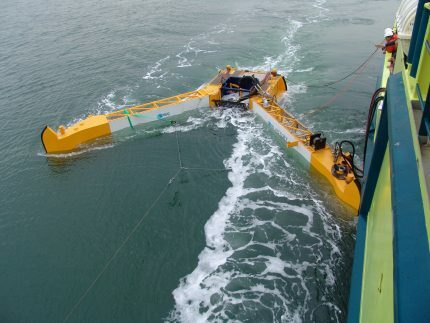 The sweeping arm can be placed in the water from shore and then be quickly pushed to the oil spill site with the arms closed at speeds of 10+ knots. 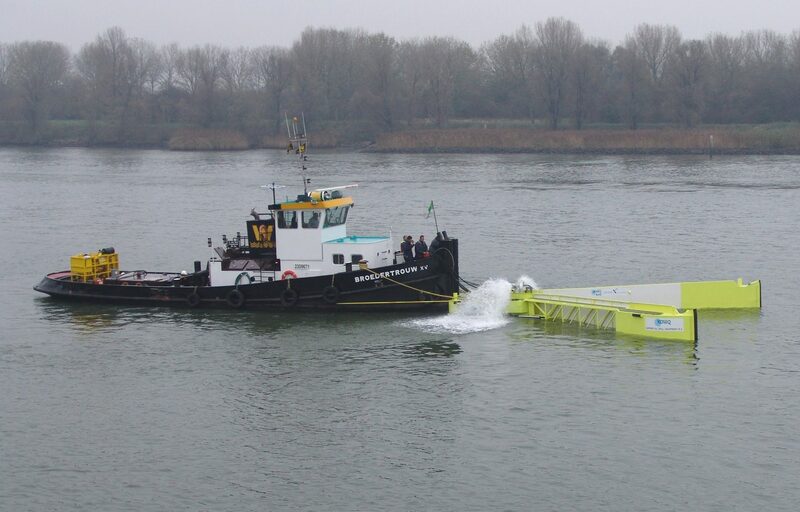 To push the VOS when sweeping oil at 2 knots 75Kw is enough. 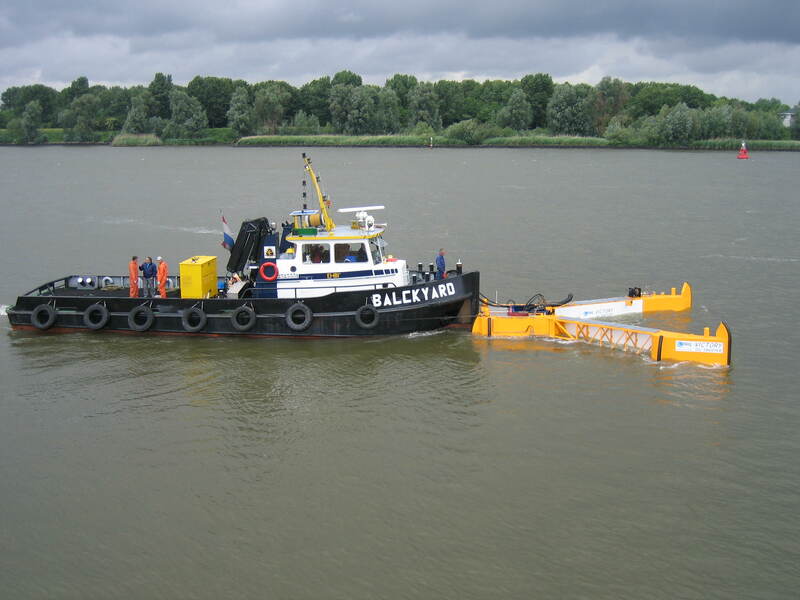 The Victory Oil Sweeper can also be pulled alongside a ship by towing lines. 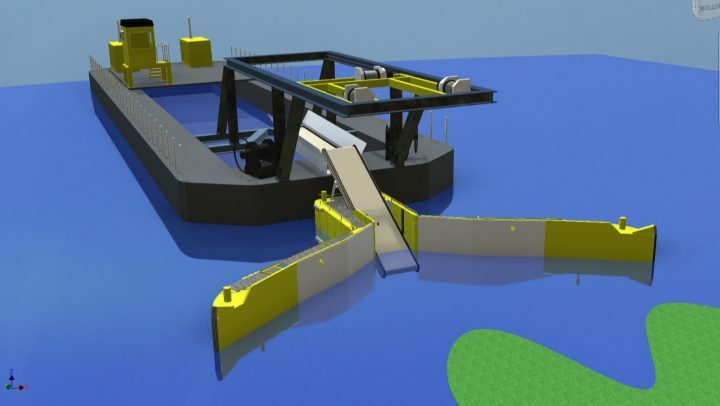 This way the system can move freely over the waves for optimal offshore oil recovery. 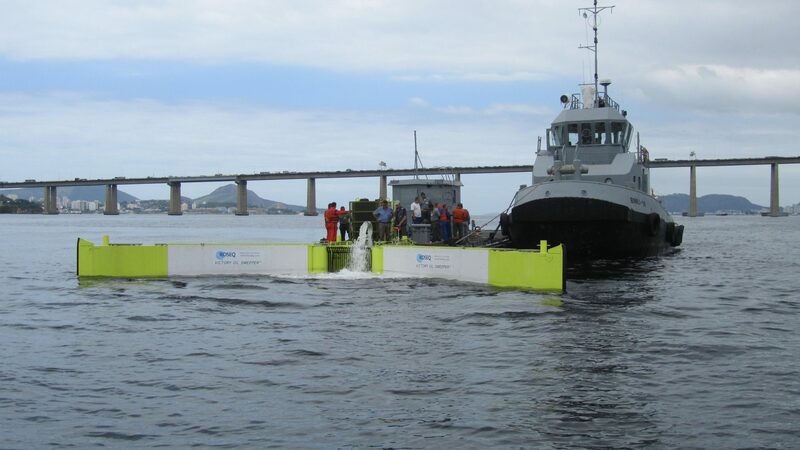 The Victory Oil Sweeper consists of two moveable rigid sweeping arms that are mounted on a central pontoon with an oil collection chamber in the center. 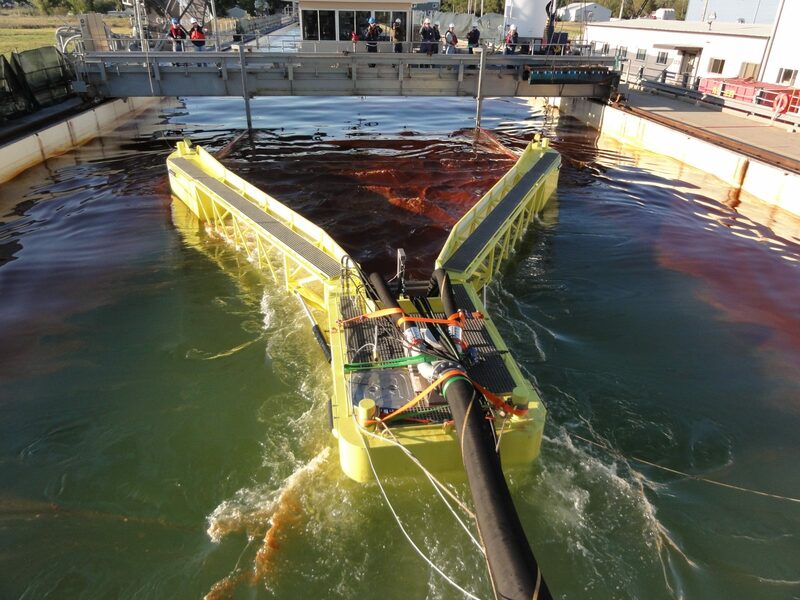 It has pontoons in both arms and the center pontoon that give the system its independent floating capabilities. The arms can hydraulically be adjusted from completely closed (for sailing at high speed) to fully open as oil collection mode. Different types of skimmers like weir, brush- or disk skimmers are available. 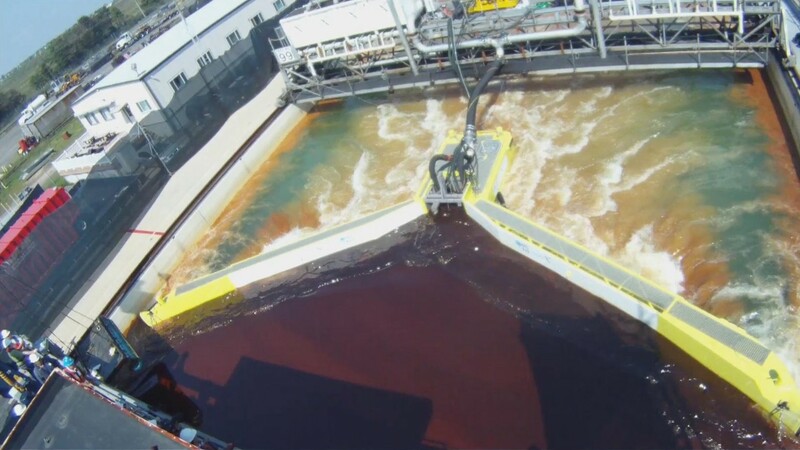 A weir skimmer is used for high capacity oil recovery. Brush or disk skimmers are used to minimize the amount of water taken in. The skimmers are mounted in modules which can be exchanged within minutes for another type. The Oil collection system can also be easily replaced for a conveyor belt, which transforms the Victory Oil Sweeper into a debris recovery unit. Koseq delivers a complete set of equipment, which can consists amongst other of a remote control unit, hydraulic power pack, booms to widen the sweeping width and other auxiliar equipment. * On request another type of pump can be delivered. Optional a second pump can be installed for redundancy or to increase the pump capacity.